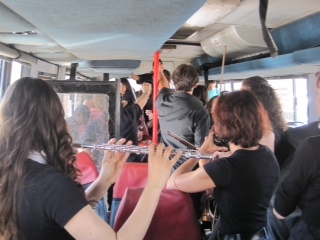 The bus was packed with instruments and musicians. 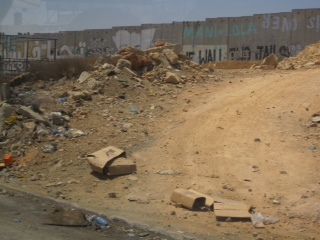 We were heading for Qalandia again – not to pass through the checkpoint, but to play a short impromptu concert at this hinterland of hope. 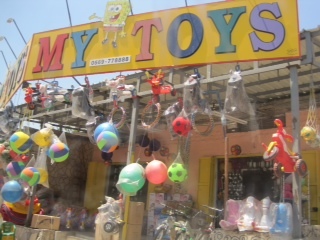 The “toys” shop indicated we were near. It was to be a swift operation. 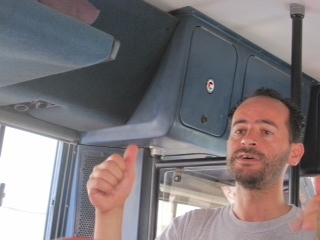 We tuned up the instruments on the bus, and Ramzi talked to the children. We made our way to the covered area (where previously we had so gently waited behind the bars for permission to move), and set up our stands and music. 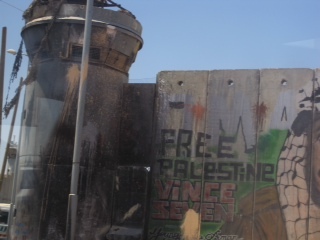 The Youth Orchestra was to play the same programme as for the Damascus Gate concert – Mozart and Bizet, conducted by Jason Crompton.